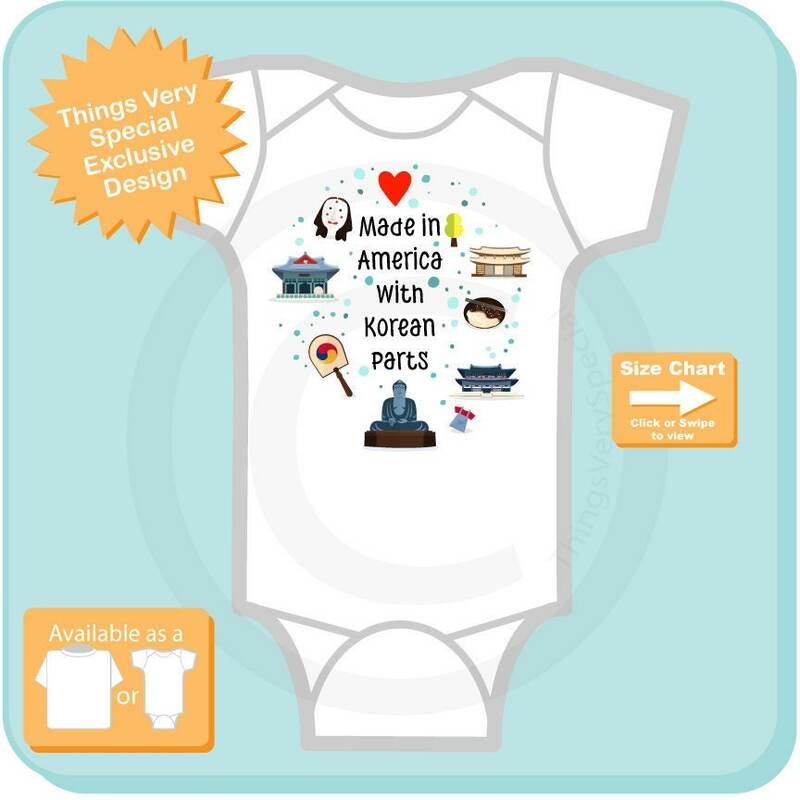 Made in America with Korean Parts design for new baby that is American but from Korean descent. 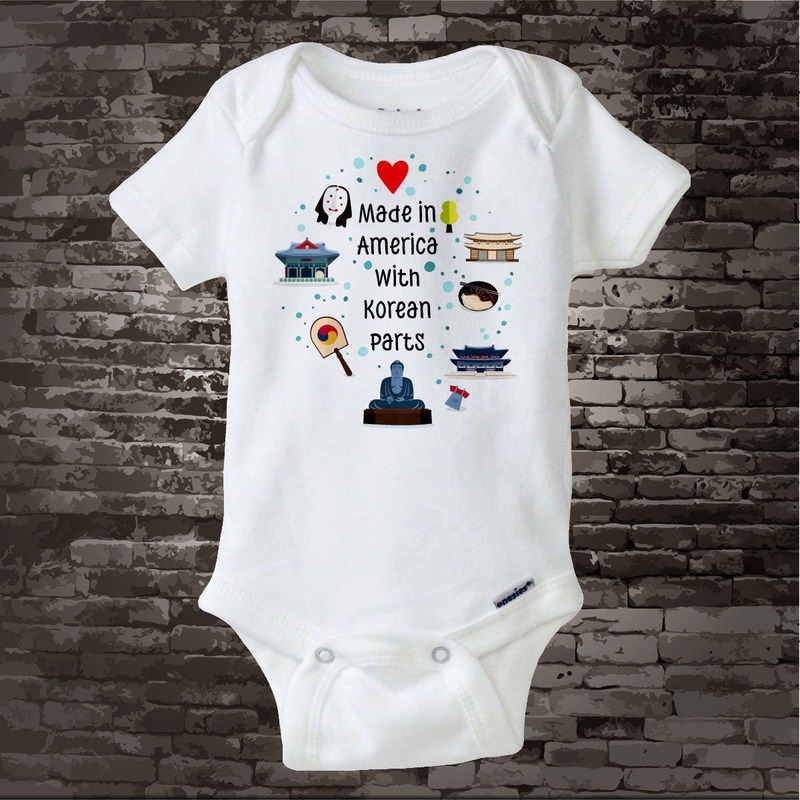 A perfect baby shower gift for the new baby of Korean parents. 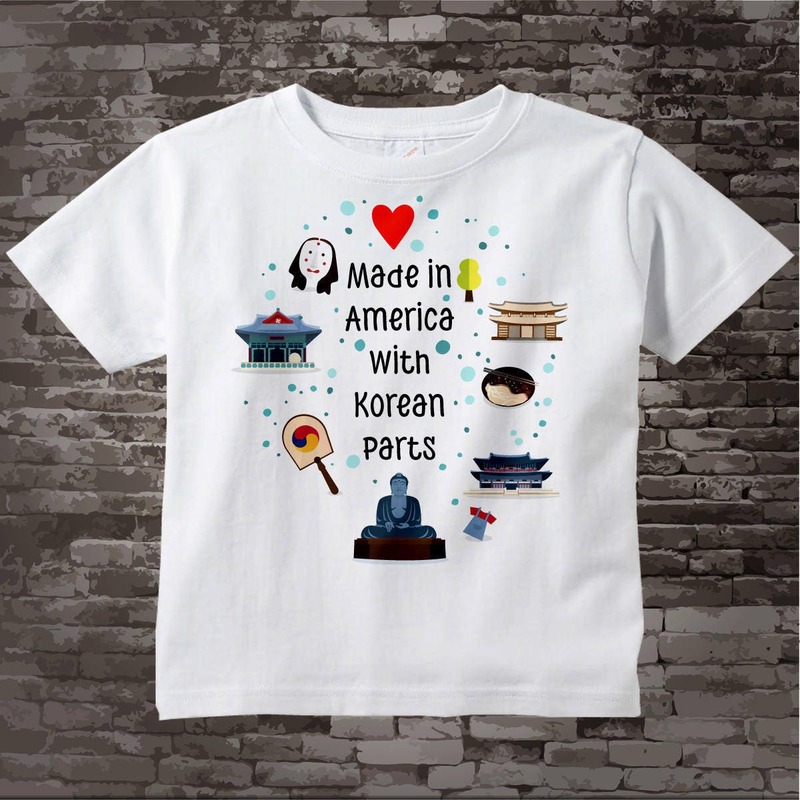 This design has several South Korean art pieces that depict his or her nationality.